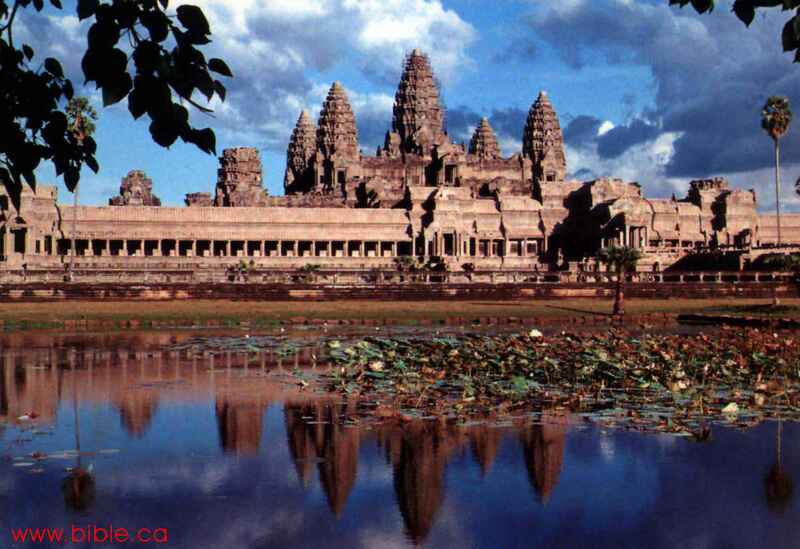 The magnificent jungle temples of Cambodia were produced by the Khmer civilization, beginning as early as the eighth and extending through the fourteenth century A.D. One of, if not the greatest monarchs and monument builders of this empire was Jayavarman VII, crowned supreme king in 1181. 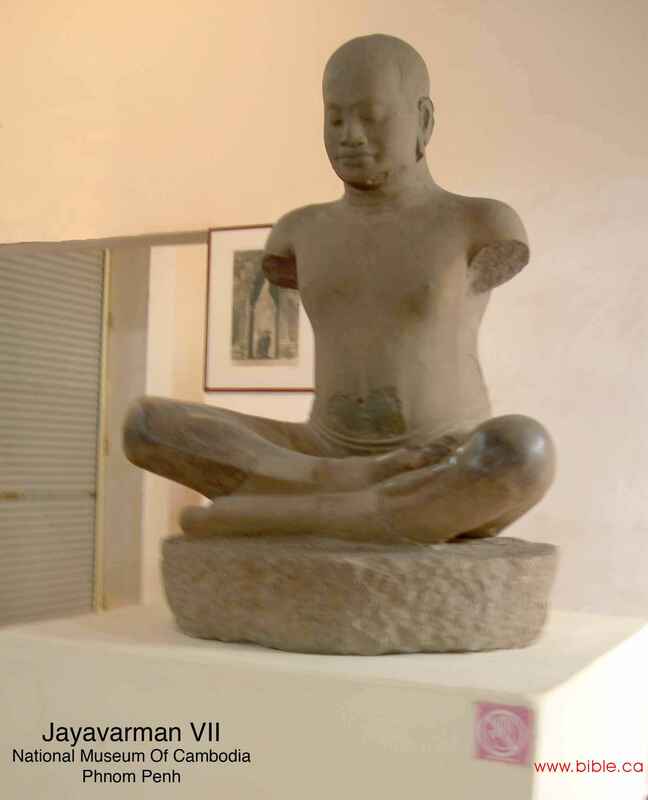 Portrait statues, depicting him meditating in the fashion of Buddha, have been found throughout the region. 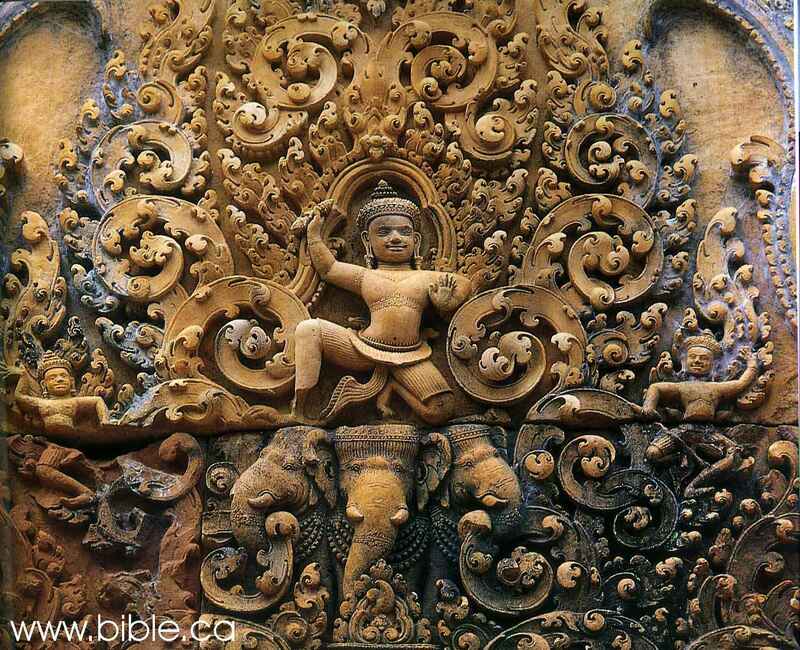 An excellent example can be seen in the National Museum Of Cambodia in Phnom Pehn. 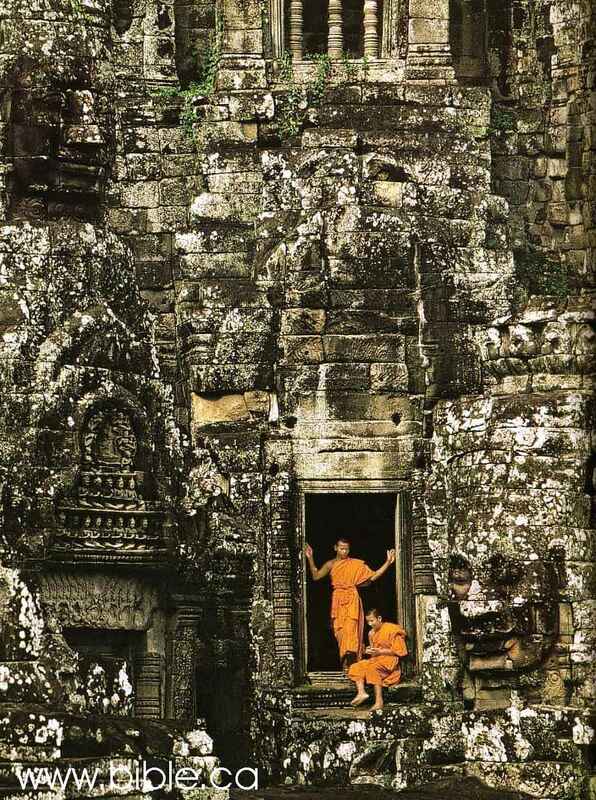 He built the beautiful temple monastery Ta Prohm in honor of his mother, dedicating it in 1186. 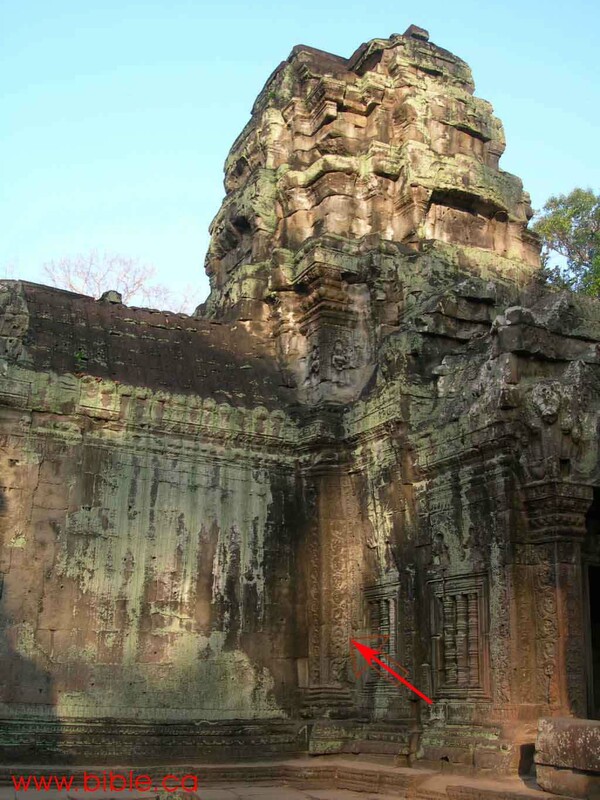 These awesome temples were rediscovered by Portuguese adventurers and Catholic missionaries in the 16th century and many were restored in 19th and 20th centuries. 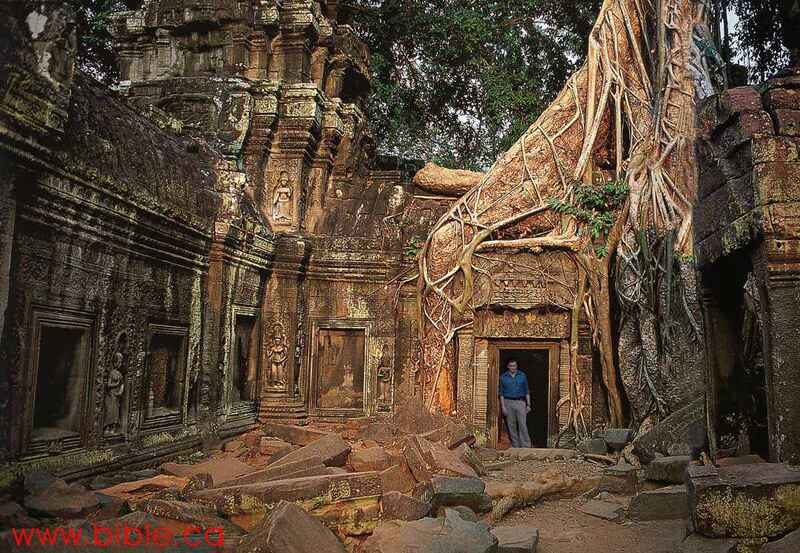 Ta Prohm, one of the most picturesque, was left in it's natural state. It recently gained international attention as the setting for the first Laura Croft movie. At the corner formed by the elaborate front entrance and the front wall is a ten-foot column covered with these decorative circles. 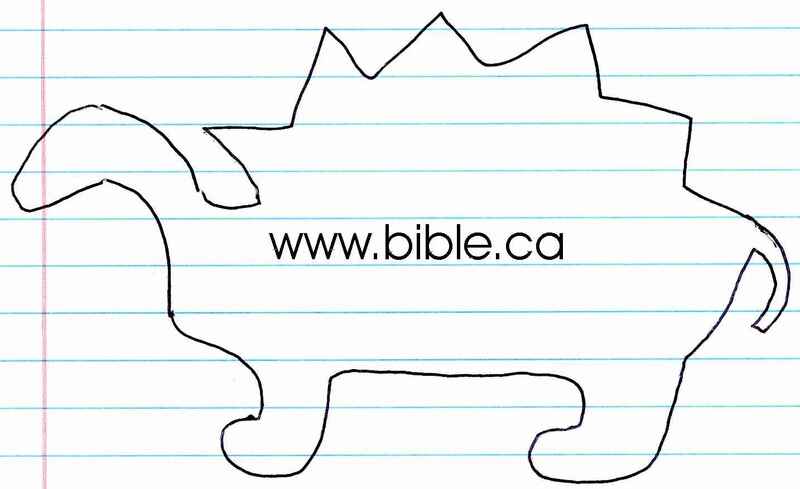 One of the animals enclosed in these circles is a stegosaurus. 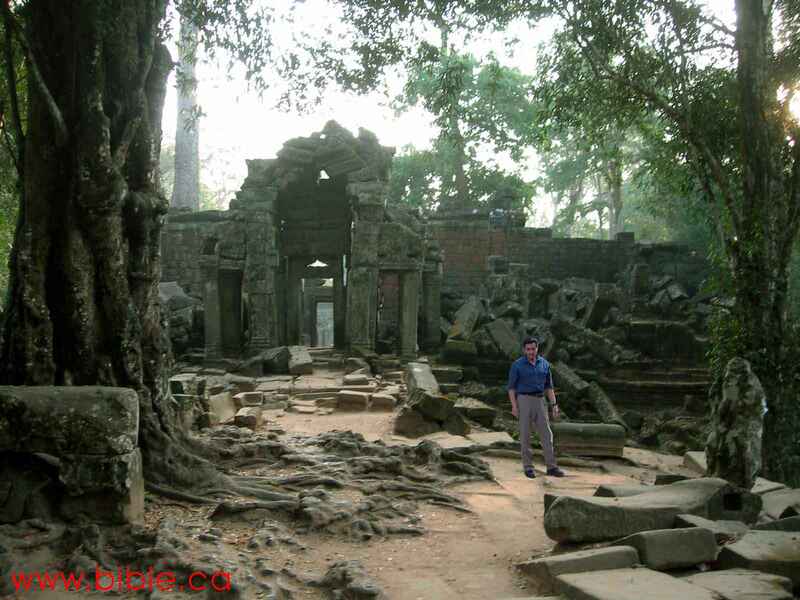 Ta Prohm abounds with stone statues and reliefs. 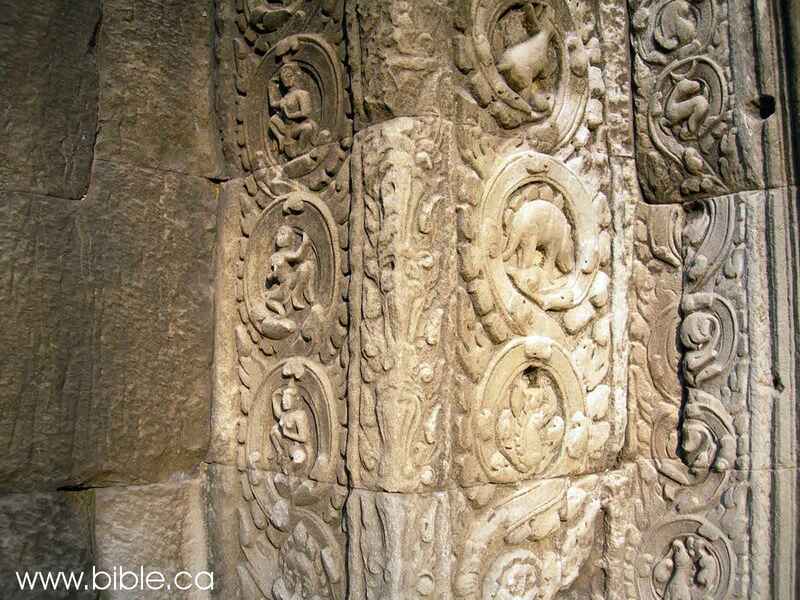 Almost every square inch of the gray sandstone is covered with ornate carvings. Hundreds of decorative stone circles surround familiar animals, such as monkeys, deer, water buffalo, parrots. Here are two examples of swans left and above. When they intended to portray lizards, they did so beautifully. 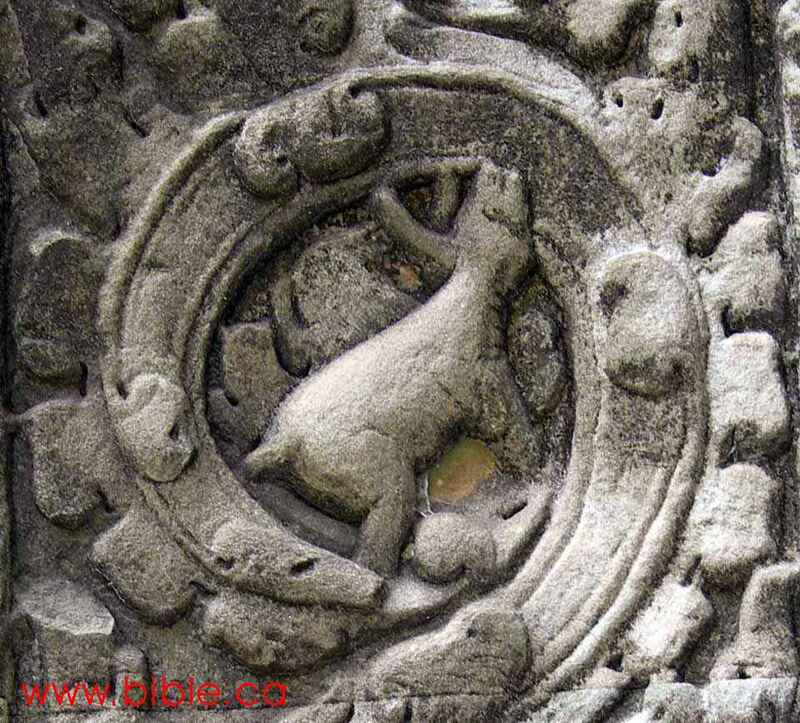 The obvious indication is that the stone carvers of the tenth century saw a stegosaurus as they saw monkeys, buffalo and deer. Below: The area of the stegosaur appears lighter (especially the raised portions) because it was cleaned by the famous photographer described below. Nevertheless, the "patina" is still obvious in the recesses (Note under the tail, under the chin, in front of both legs, on top of the "ground" between the legs, above and between the plates on the back). 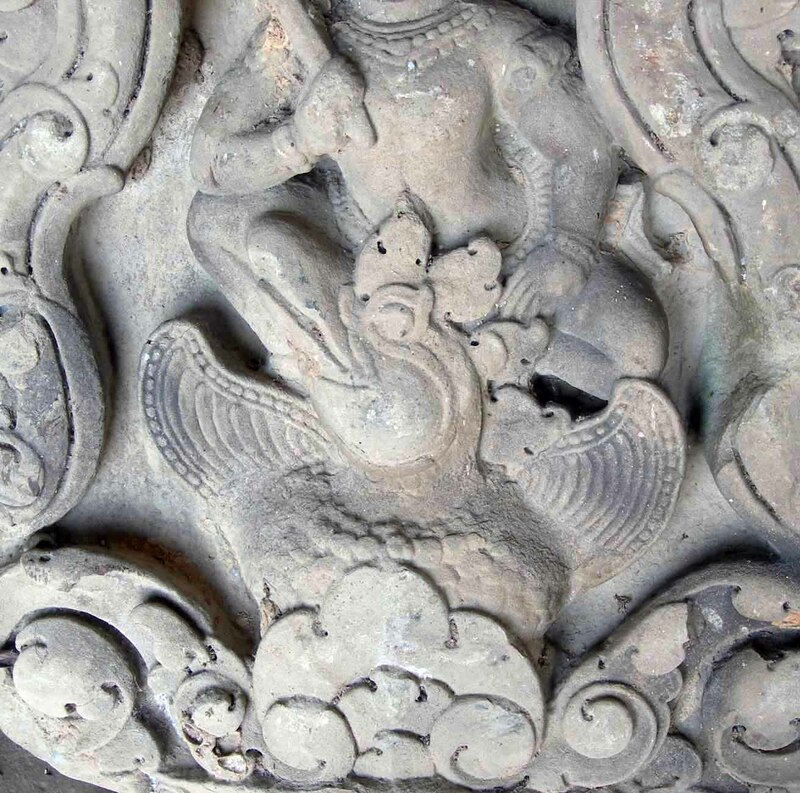 The area around the Hindu god Indra (below) seems to have been cleaned in a similar manner. The idea that the carving may have been added recently is simply not possible for at least a half-dozen reasons. 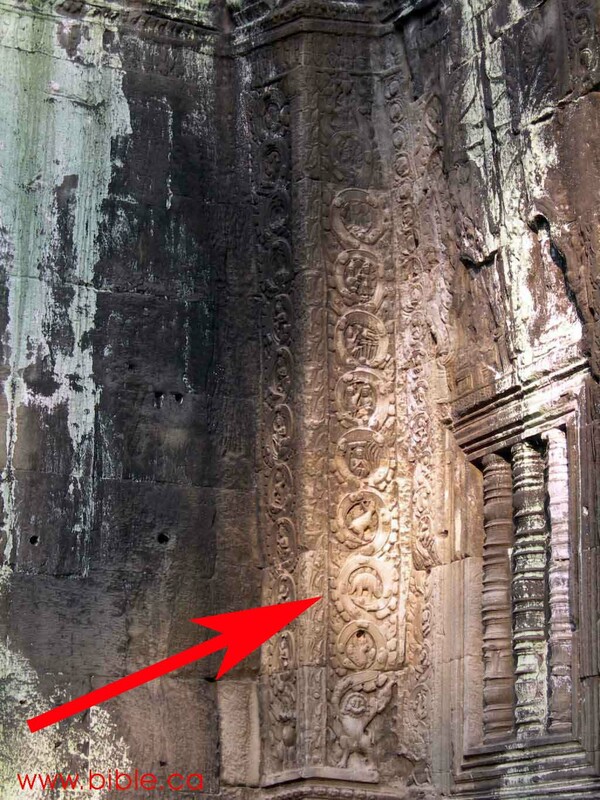 The depth of relief on the carvings that cover every square inch of this column, is more than half an inch. Removing the imagined "original" carving would have left a recessed surface. Then, carving the stegosaur on the recessed surface would require still deeper recesses. 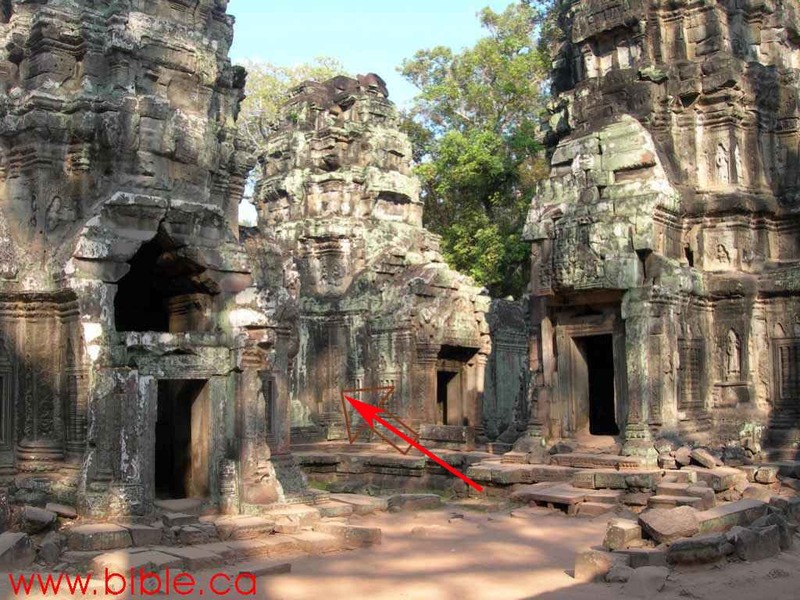 The above photograph clearly demonstrates that the carving is not recessed. 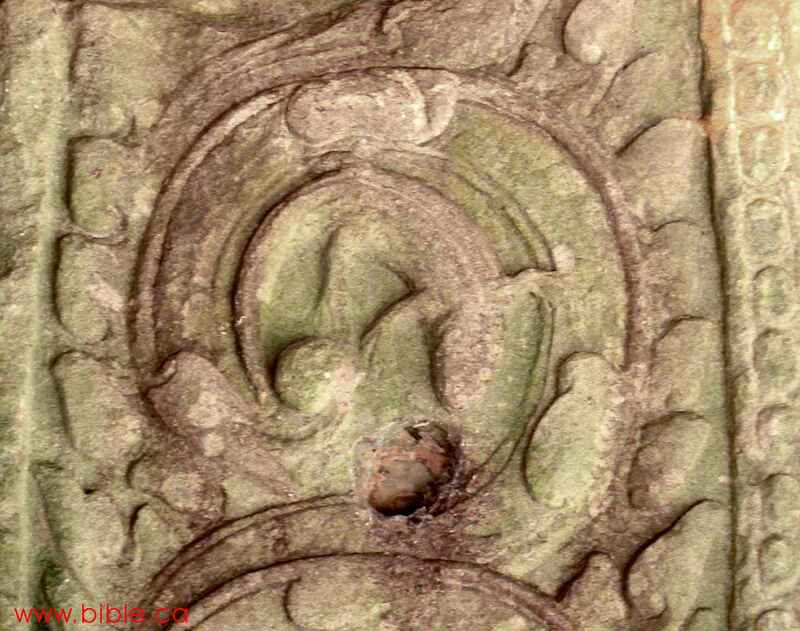 It is flush with the other carvings. 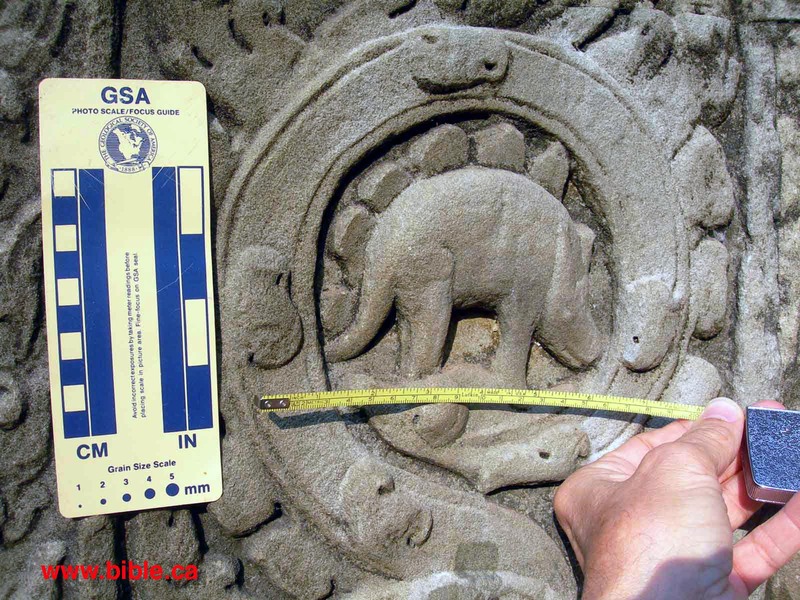 Since the plates on the back of the stegosaur protrude from the recessed background at least half an inch, it would not be possible to add them to the background by subsequent carving. The plates are an integral part of the rock surrounded by a recessed, patina covered background. 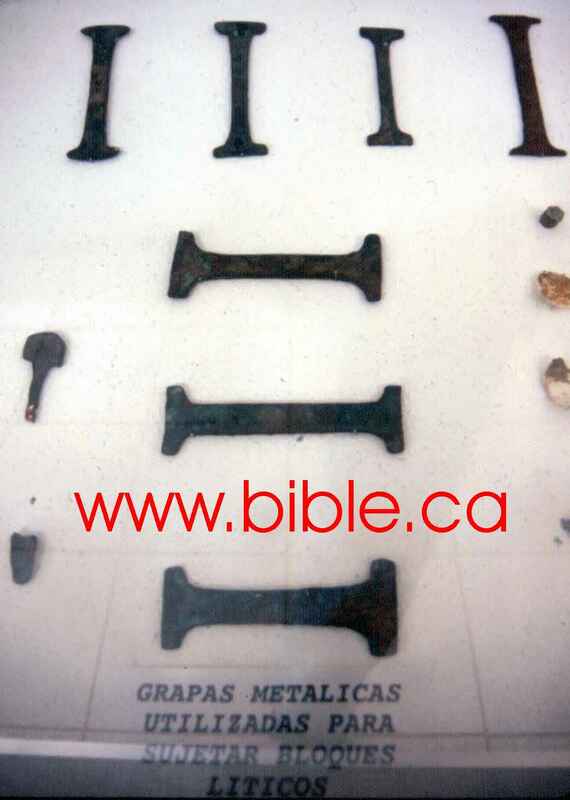 The blocks are held together, not with mortar, but with iron "staples" in the shape of a capital "I" typically about 8 inches long, 1.5 inches wide and 3/8 of an inch thick. 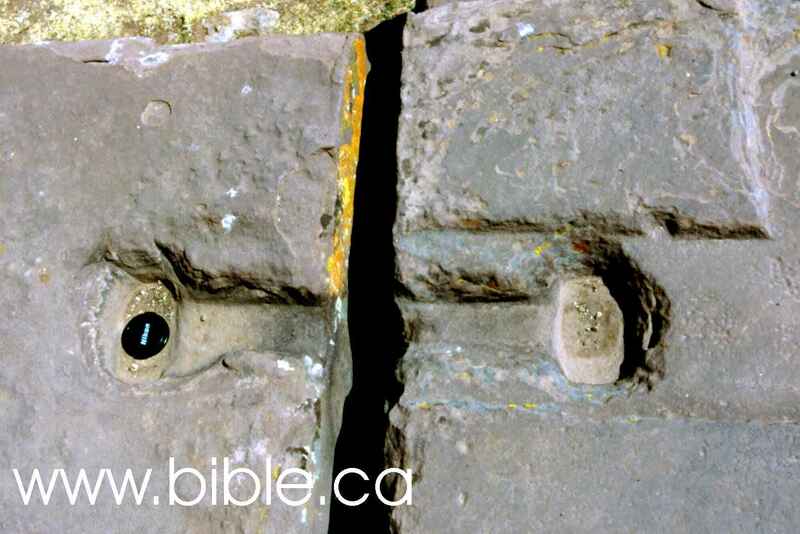 An inset in the shape of the staple was carved into the surface of two adjoining blocks, across the abutment, one end in one block and the other end in the other. With the staple in the shaped recess, the next tier of blocks holds the staple in place. They are used horizontally and vertically. An interesting sidelight is that I observed and photographed this method of construction in Tiahuanaco, near Lake Titicaca in Bolivia. 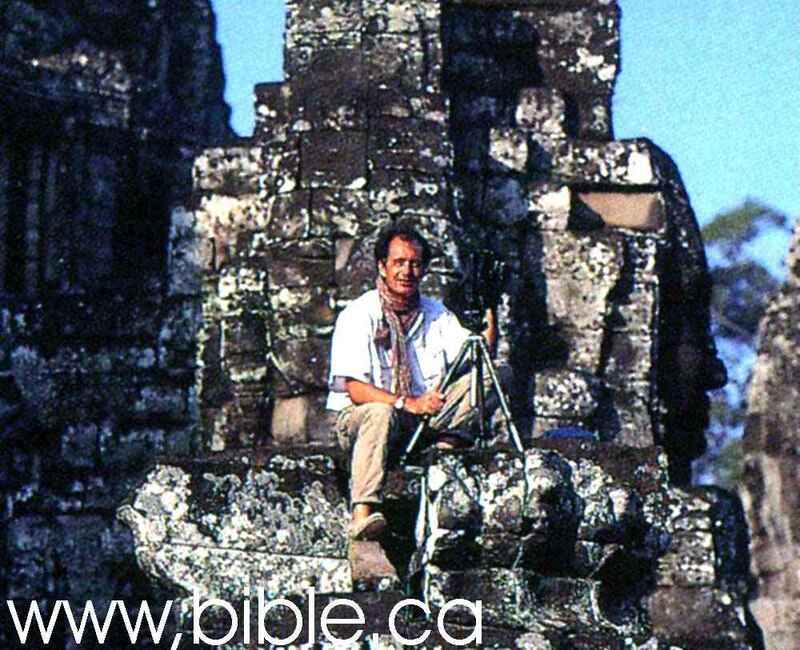 (see below) Bolivia is around the world from Cambodia, yet the staples appear to be identical. However, the point that we are making here is that the blocks are interlocked in such a way that removing and replacing a block with 40 feet of overburden without detection, is an imaginary idea that will not work. 5. It may sound presumptuous, but I am trained in petrology. I know rocks. If someone had altered this rock, years after the original carvings, I would see it immediately. 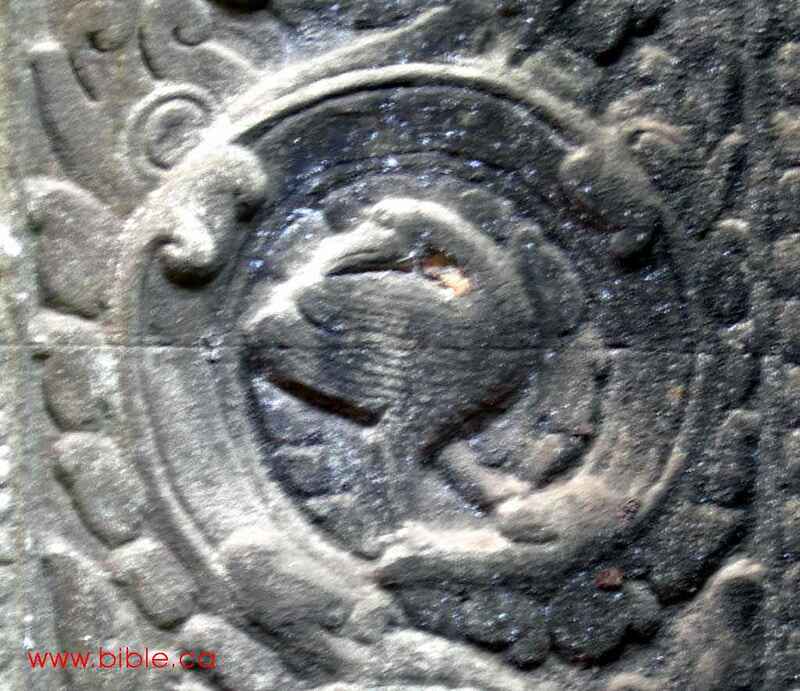 It would also be obvious to other experts who have carefully examined this carving (documented below). 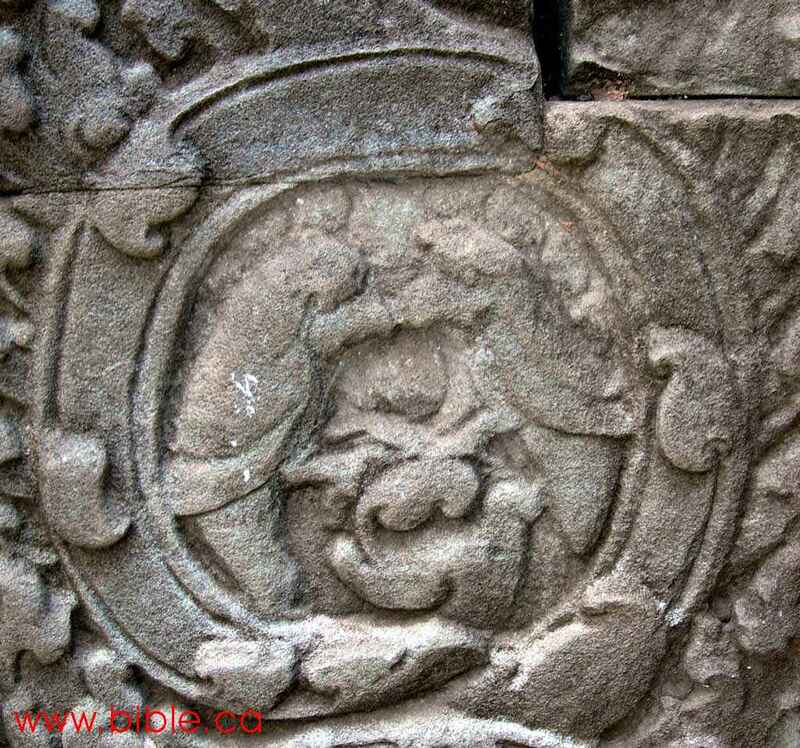 I can tell you without the slightest doubt, this carving is not modern, it is contemporary with the other carvings of Ta Prohm. 6. 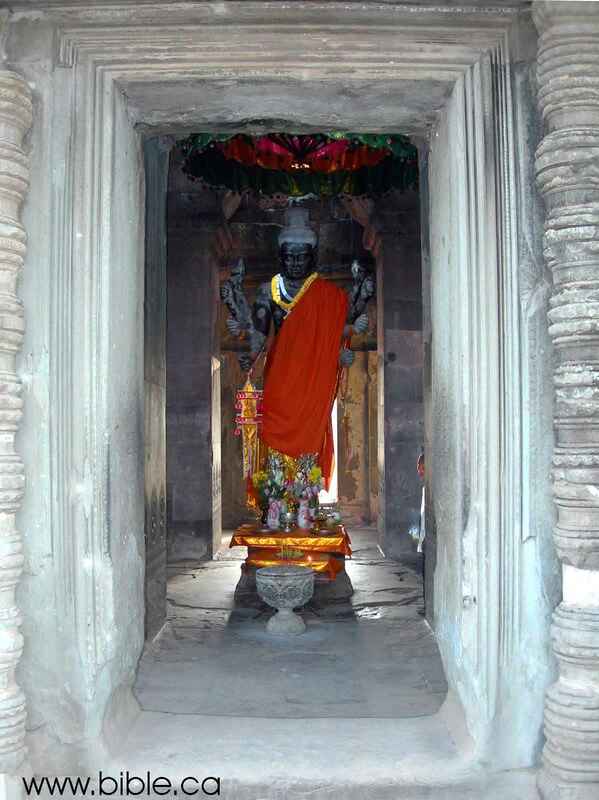 It should also be mentioned that the mind-set in Cambodia is very different form ours. The people are still greatly intimidated by governmental authorities. The brutal execution millions for almost any excuse, is vivid in the memory of virtually all adults in this country. Some of the same government officials responsible for the slaughter of perhaps 1/4 of the population are still in power today in this communist dictatorship. Consider this in connection of the fact that dozens of federal police with AK 47's patrol the ruins day and night, daring anyone to deface or take "souvenirs." 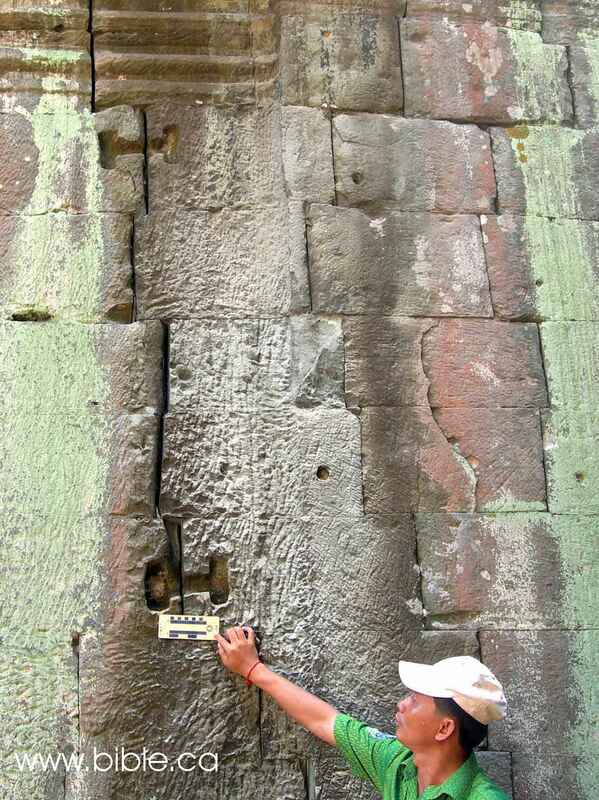 It is simply not credible to imagine pranksters, defacing and re-carving these "sacred" temples, which are still actively used today for Hindu and Buddhist idol worship. 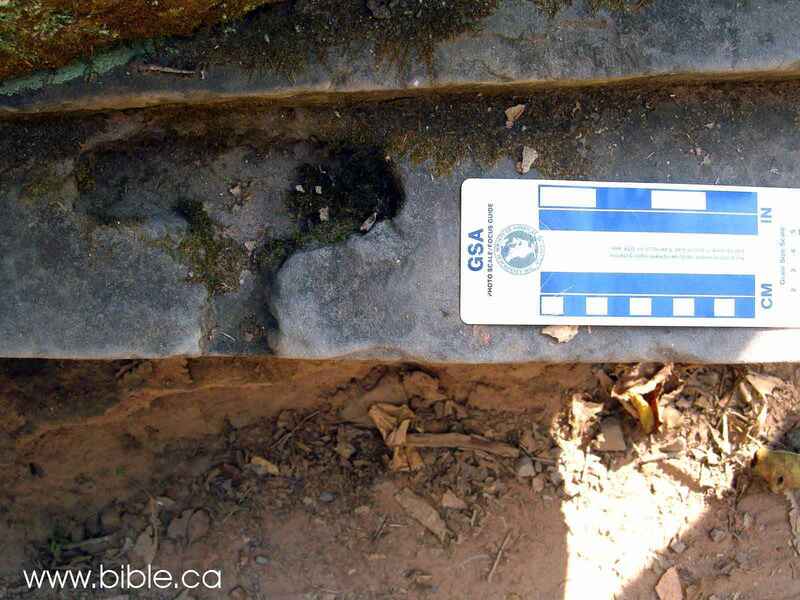 At least two very significant books testify to the authenticity of the stegosaurs carving. 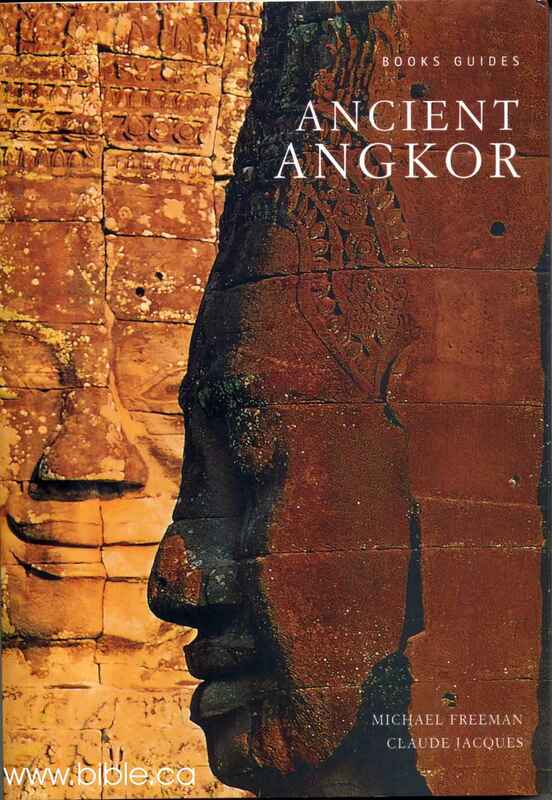 Ancient Angkor was first published in Thailand in 1999 by River Books Ltd., Bangkok. 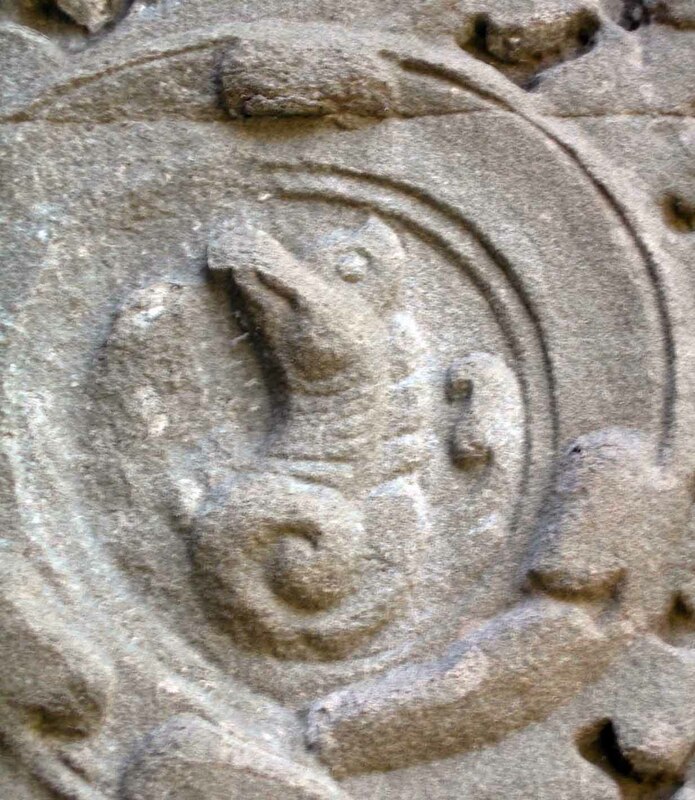 A small picture of the carving is seen at the bottom of page 143. 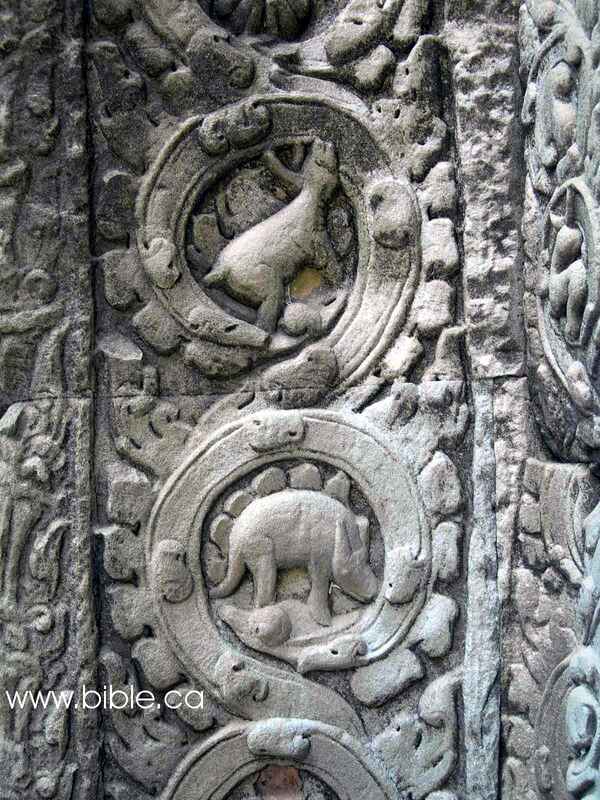 On page 144 we read, "Along the vertical strip of roundels in the angle between the south wall of the porch and the east wall of the main body of the gopura there is even a very convincing representation of a stegosaur." 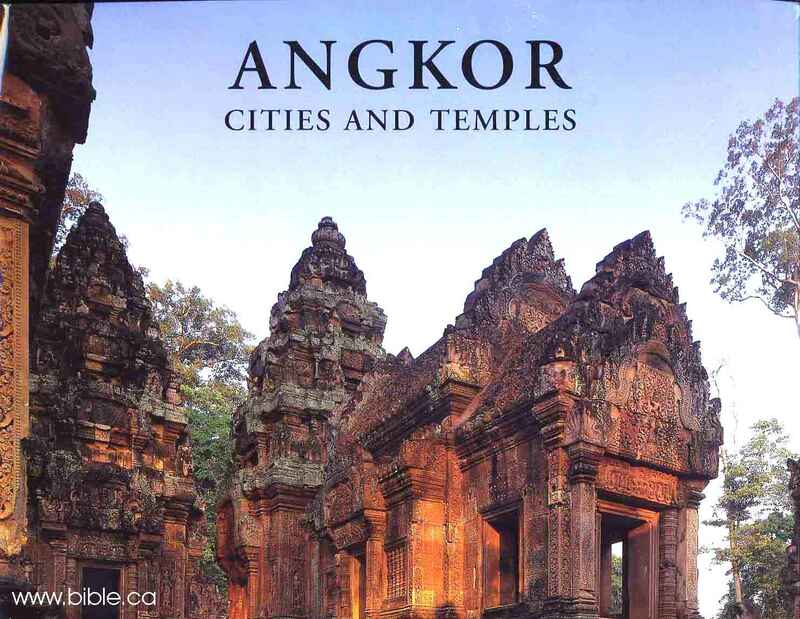 The large, beautiful 320 page book, Angkor, Cities And Temples, by the same author and photographer, includes a half page picture of the stegosaur sculpture. 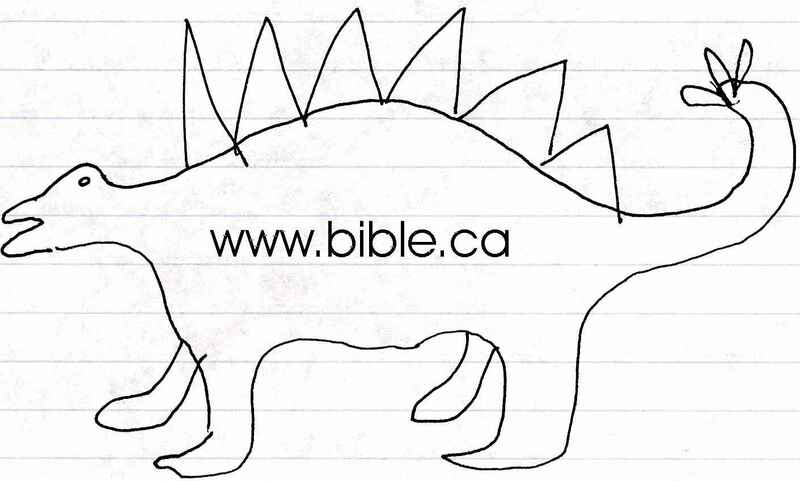 On page 213 the author describes it as "an animal which bears a striking resemblance to a stegosaurus". The book cover describes the qualifications of the author and photographer. "Michael Freeman's photographs have been published in leading magazines such as GEO, The Sunday Times Magazine, the Smithsonian, and Life. 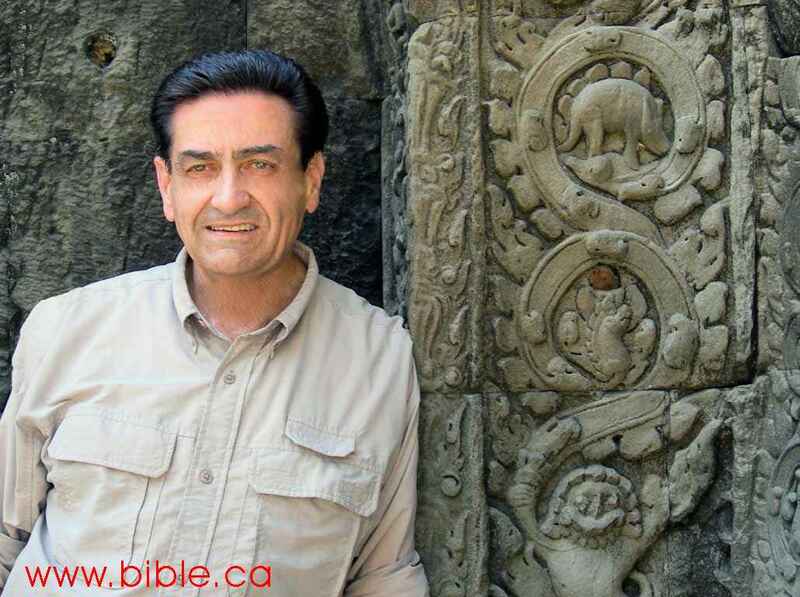 He has also worked on numerous books including Ancient Capitals of Thailand and Palaces of the Gods: Khmer Art and Architecture in Thailand. He has specialized in photographing Southeast Asia for more than a decade." 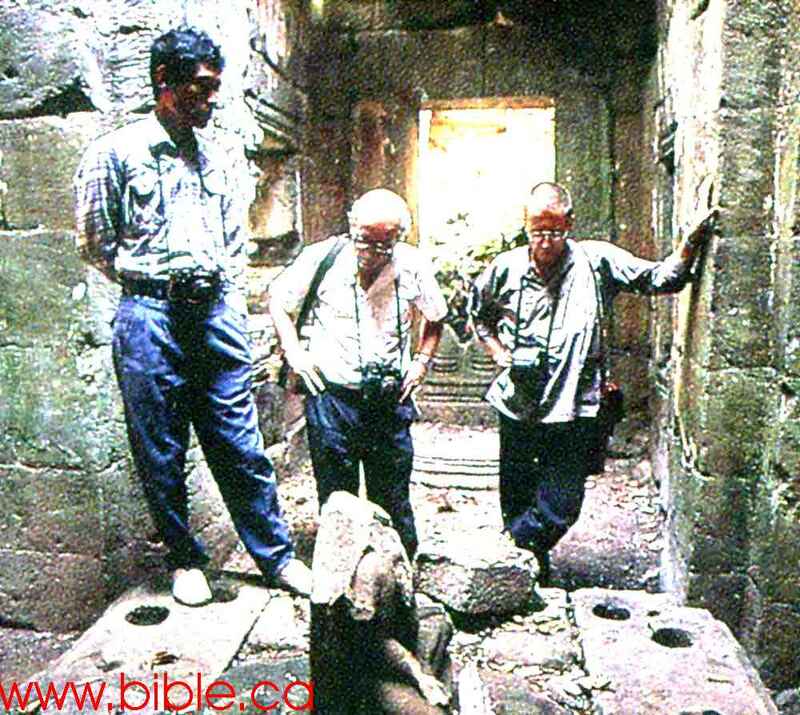 The book cover of, Ancient Angkor, adds, "He was the first photographer to have prolonged access to Angkor after the country's two decades of war, genocide and civil war." 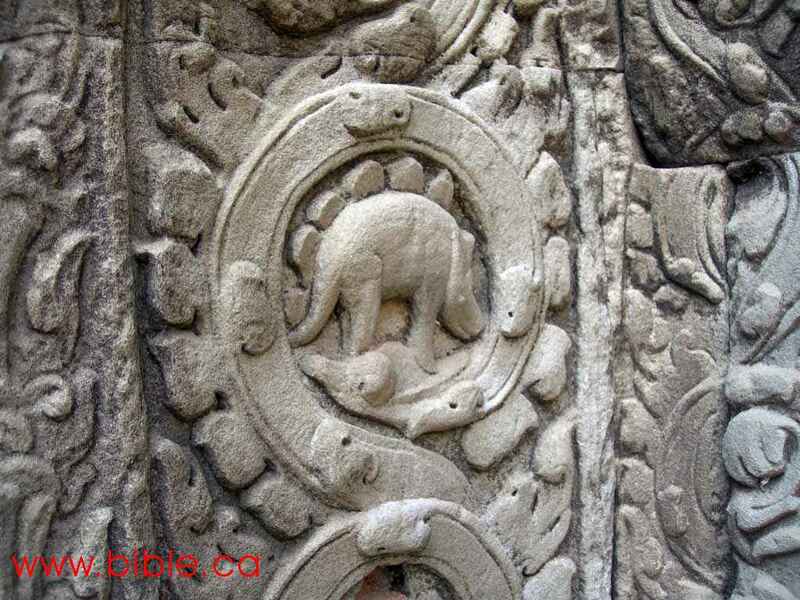 A few skeptics have based their objections on anatomical differences between popular Stegosaurus restorations and the Cambodian sculpture. The fact that the average Jr. High student immediately identifies the sculpture as a Stegosaurus is considered of no consequence. "The head is too large Stegosaurs had no horns or frills on the head" The sculpture has no spikes on the tail... Therefore, they conclude that the sculptor never saw a Stegosaurus. One is tempted to respond to these claims by pointing out that our modern restorations involve some guess work, that Stegosaurs may have exhibited a significant amount of anatomical variety (like dogs), that a view of tail spikes may well be blocked by the surrounding stone circle, etc., etc. However, this line of reasoning focuses the discussion on the wrong issue. The relevant question is not, Can you find anatomical differences with today's popular restorations? 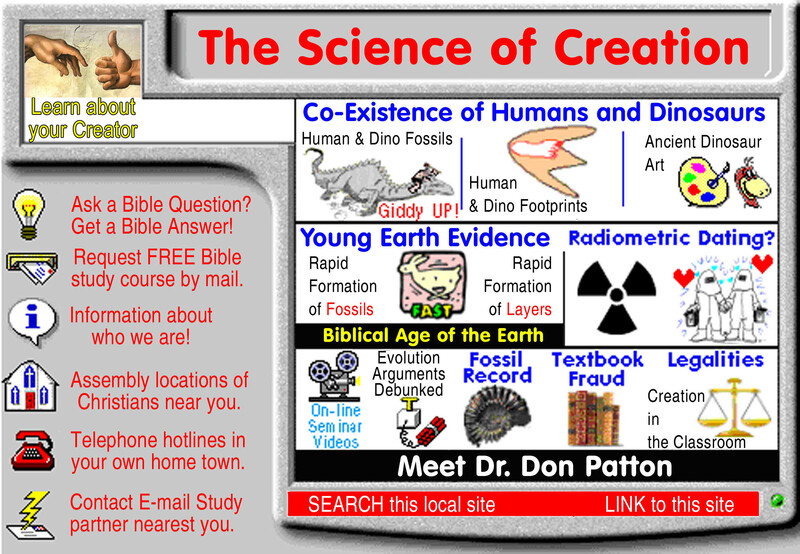 Rather, the real question is, What kind of sculpture would be produced by an artist who remembered seeing a Stegosaurus? Consider the following brave observation regarding this sculpture by an author unknown to me, posted to a web site dominated by skeptics. "As an artist myself, I find it amusing that skeptics are picking at the anatomical incorrectness of this rendering. 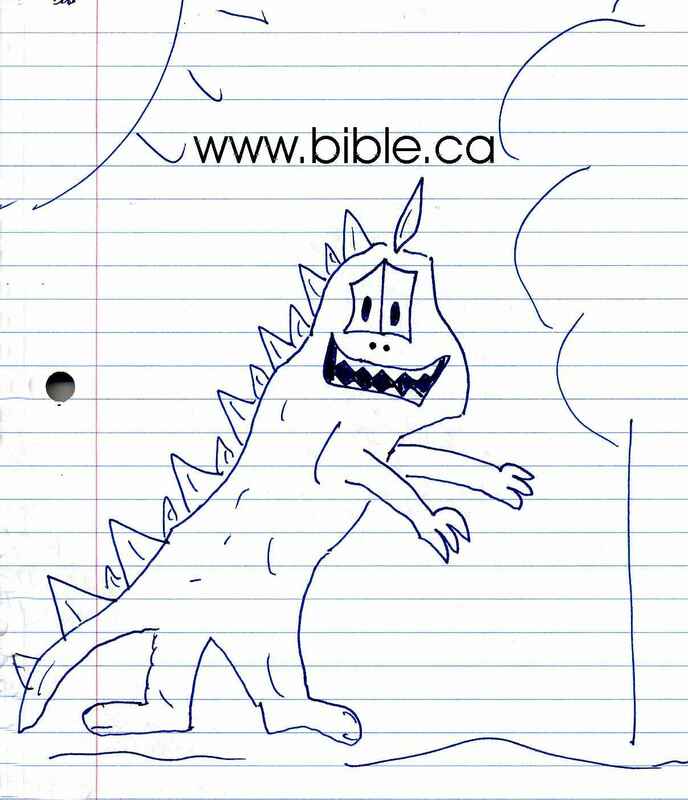 If I were going to draw a stegosaurus from memory, that's what it would look like, by gum. And of COURSE it was done with a chisel. Just like the rest of the wall. Sheesh. Most artists have handwriting,' and this artistic style matches the rest of the pictures, as well. Isn't the triceratops head frill a neat addition? It's actually more convincing to me than if it HAD been a perfect replica. Says that there was some confusion there. Combined legends? Conflicting sightings? Cool." Assuming the sculptor did not have a Stegosaurus trained to pose as a model, and there was no access to the internet, the rendering would most likely be from memory. Would the results of this process necessarily be anatomically correct compared to today's restorations? What would it look like? Instead of relying on wide ranging, presumption serving speculation, I determined to answer the question by means of an experiment. 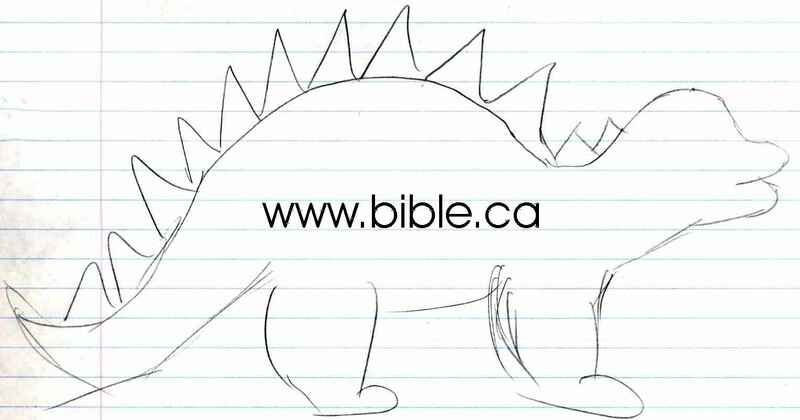 I persuaded an art instructor at the University of Texas at Arlington to assign an art class (Communication Graphics) the task of drawing a Stegosaurus, from memory. These college students were not paleontologist nor were they professional artists. They were students studying art. The analogy is not perfect but the experiment should provide insight into our question, "What would an artist produce from memory?" There were 36 students in the class. The following 12 drawing are the best of the lot. 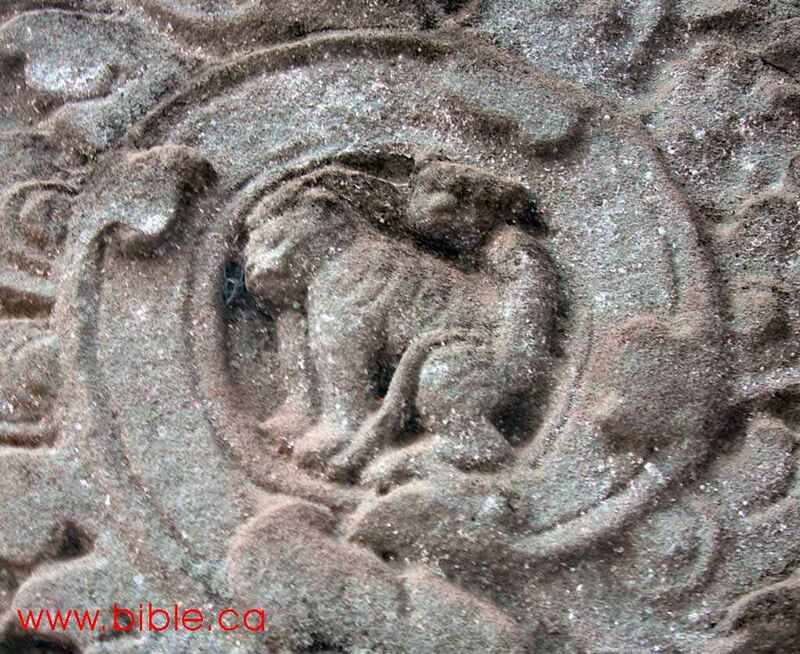 I think you will agree with the instructor's assessment that none of the students' efforts looked as good as the sculpture on the temple wall in Cambodia. 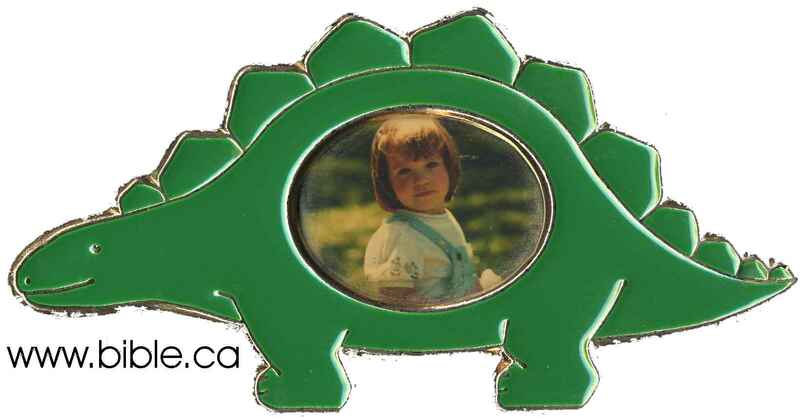 I was struck by the similarity between the Cambodian Stegosaurus and a picture frame I have used for years to display a picture of my niece. It's not a perfect representation but then it is not intended to be. Tail spikes would not fit the style. Terms like stylized and artistic license are familiar because we all know that artists do that. 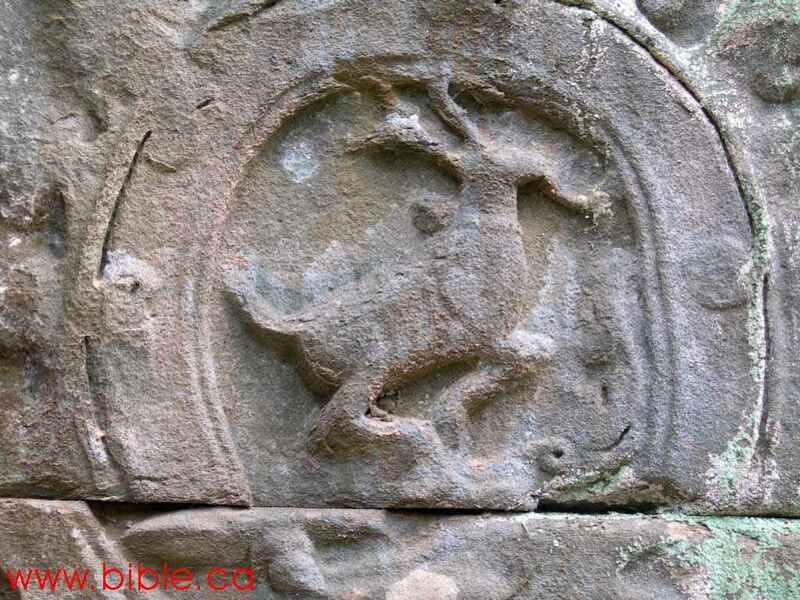 Some of the animals at Ta Prohm are very realistic but some are not. The swan is readily recognizable from Hindu tradition but is somewhat stylized and certainly not anatomically correct. Here are four examples of swans left, above and the two below. Let's think about the implications of these observations. Does anything other than an anatomically correct portrayal, prove that the artist never saw a good representation of what was being portrayed? Had the artist who produced the swan sculptures never seen a swan? Really now, would that follow? 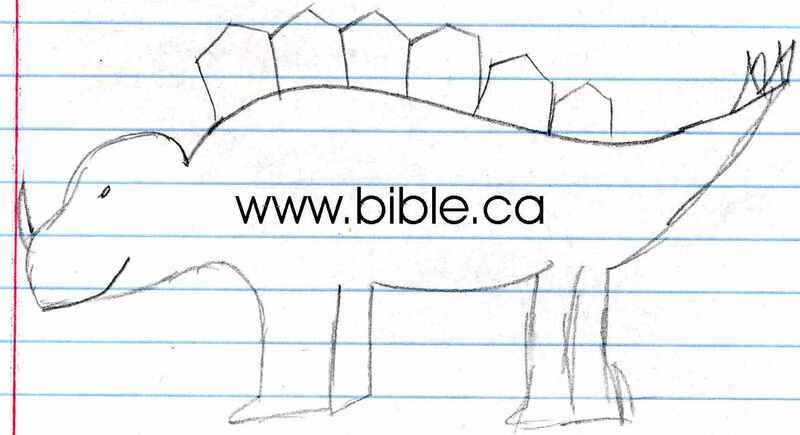 The Stegosaurus drawings of the art students are at least recognizable. Isn't it obvious that they must have seen a picture? How else could one account for the drawings' relative similarity to published restorations as well as to each other? 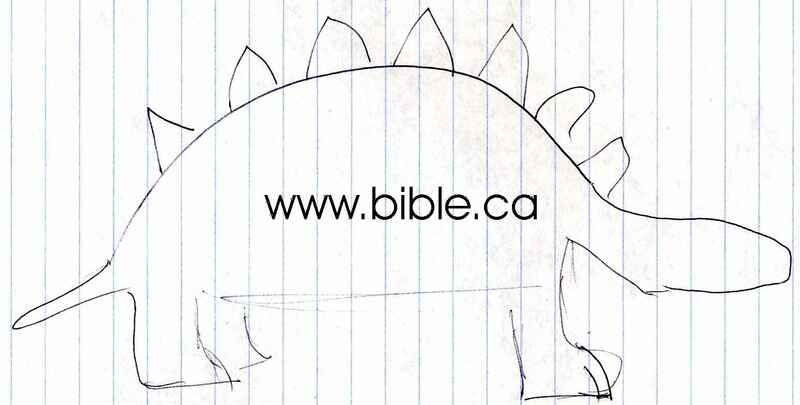 The conclusion that the art students had not seen a Stegosaurus because their pictures are anatomically incorrect, is an obvious non-sequitur. It simply does not follow. How, then, should we assess the assertion that the Cambodian sculptor never saw a Stegosaurs because his depiction is imperfect (though better than the art students)? 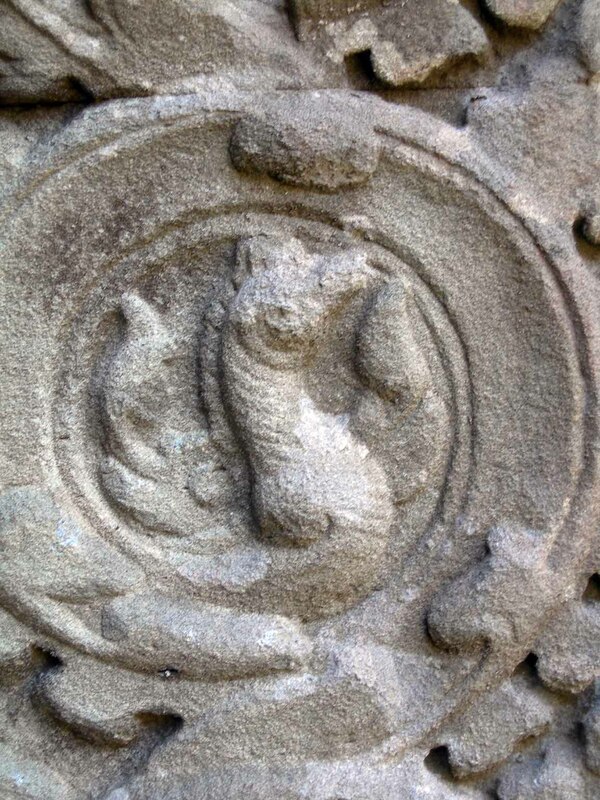 The students must have seen a Stegosaurs but the Cambodian sculptor did not??? You think? Prejudice has the power to makes us look awfully ridiculous.